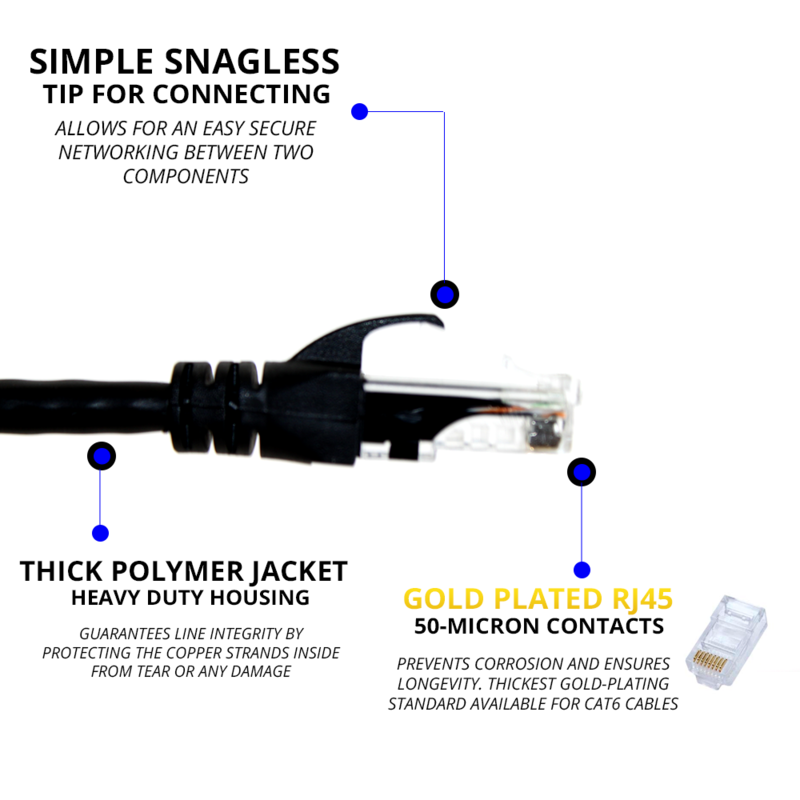 Make sure your network functions at its maximum potential with his patch cord. Future-proof your network with max transmission speed of 10-Gigabits (250+ Gigabytes per sec / 10000BASE-T). 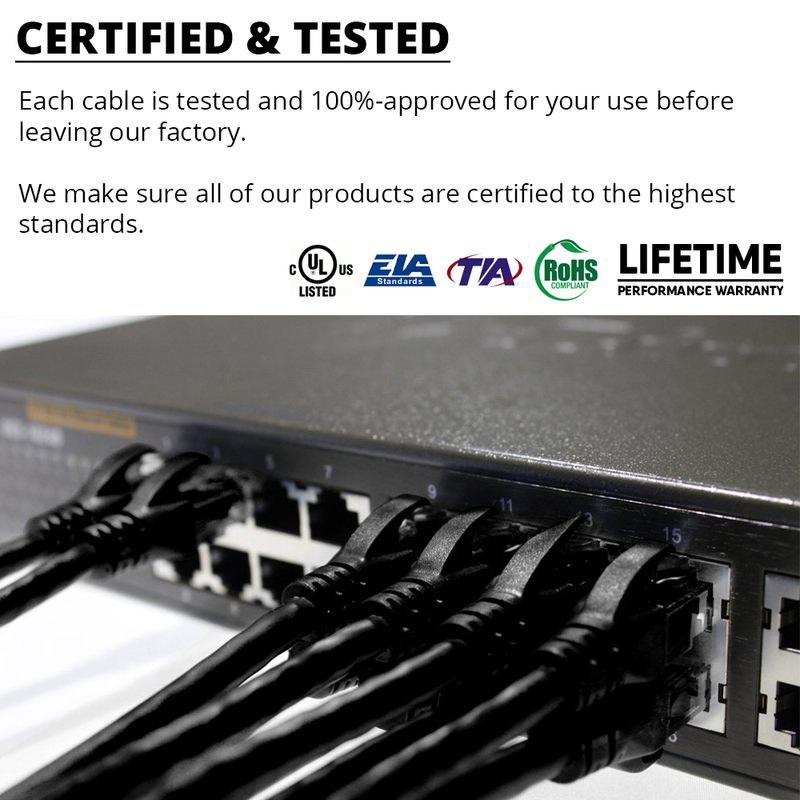 Ideal for both residential or commercial use, whether in living rooms, offices, or large data centers. Very good quality and nice sturdy construction. Have bought a few differing lengths of this brand and they are all works great as expected. Perfect for small patch jobs. Very good deal, qualify is very good, very well-made. Work as expected, good for the price, but are a little stiffer than other cables.